Will Amaravati be a people’s city? Add to these institutions of excellence, investment and business centres, global companies, export and import zones. A city that never sleeps kind of a thing. It generates money, it creates power and it also creates exclusive zones with barred entries. All these are said to be features of a world-class city. But what is a world class city in reality? 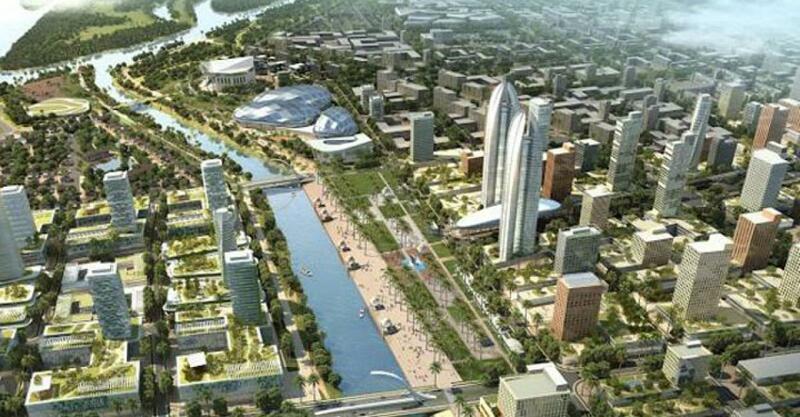 How will Amaravati shape up in the future? What would it be offering to the people who live in it and depend on it for livelihoods? Will it make you edgy, unsafe and a stranger? Will there be utter contempt for the residents or will it be friendly? From Accra to Jakarta and from Dubai to Singapore, the chasm between the poor and the wealthy is only widening every day. As cities across the globe seek to develop themselves into "world-class" smart cities, urban planners and the global infrastructure developers continue to fail to recognize the needs of the working class. At least 30 per cent of a city's population does not fall under the purview of a regular economy. Also take into account the 'visitors' to such a city who travel on various errands apart from the labour that lands with a job in the city daily. Politicians and municipal leaders who pursue this dream of producing world-class cities to attract investments and take pride in creating global cities, often turn a blind eye to the needs of these sections. Such world-class cities acquire an air of exclusivity from the day one and remain out of bounds for the lower wrung of the working class. These cities witness a rapid population growth. First of all, such beautiful cities require a vast migrant construction force and, particularly in case of Amaravati, this force is going to be stay put for the next 50 years at least. In the process, it also gets absorbed in it one way or the other into the city. Whether it does so to be an integral part of the city's ethos remains to be seen. wished away. Last year's Urban Spaces Conference of the UN held at Columbia raised several questions. These slums offer an inexpensive gateway into cities for poor migrants and those dwelling in it are bound to face inadequate and insecure living conditions. They face highly vulnerable health and environmental risks and social exclusion, the conference opined. An estimated 830 million slum-dwellers live in cities in the world, it pointed out but no city takes care of these allowing them to remain centres for exploitation. The conference also identified another major deficiency of these cities. Though urbanisation offers opportunities to reduce poverty with a high degree of efficiency, the misplaced priorities and the demands of the rich go against the fringe population. The investment usually is in commercial properties, instead of basic infrastructure and services. To keep the city clean one should have public rest rooms at every corner and to keep the children safe, creches, at every work place. Apart from day care centres with medical facilities, it should also have enough spaces for the senior citizens and the persons with special abilities. Experts attending the conference pointed out that such cities also give rise to informal economies that flourish outside the purview of the government regulation becoming a major source of employment for the poor and also becoming a critical provider of goods and services to the broader urban population. Unfortunately, the pursuit of “world-class” status often translates into urban-planning and policy decisions that are hostile to informal workers, the UN guidelines caution as these decisions restrict economic opportunities for the urban poor and exacerbate urban inequality. The government of Hanoi, Vietnam, for instance, has banned vendors from its streets in an effort to “beautify” the city. Across the globe, urban informal workers also lack legal protection and political voice—a condition that increases their vulnerability to exploitation and harassment. In Nairobi, for example, city officials have been found guilty of intimidation, arbitrary arrests, and even sexual violence against street traders. Recently we have seen in Hyderabad how municipal workers were ill-treated by the authorities when they had gone on strike demanding better wages. And Hyderabad is aspiring to be a smart city! Could there be a world-class city which will be inclusive? Could we find qualities like basic dignity as a fundamental right, decent living conditions and the prospects for economic mobility and social inclusion where women and children feel safe and have their rights recognized and preserved? Will this Amaravati be a people's city or rich people's city? Will it be a city for the law makers and law keepers alone? The critics who attend such conference suggest that an inclusive city should ensure that all citizens have access to safe and adequate housing. The Habitat Conferences of the United Nations have repeatedly emphasized on reaching these housing goals by building more affordable housing, while in others, it is to be achieved by working with communities to upgrade existing slums. An inclusive city also has to expand access to basic services to improve the economic capacity and health outcomes of all urban residents. Will Amaravati provide accessible and affordable transportation facilities to the slum dwellers in the urban periphery with economic opportunities in urban centres? Will its public spaces support informal economic activity? An inclusive city of Amaravati, if it is to become that, should offer not just a safe physical environment, but also a safe legal environment that protects all of its denizens. The sub-committee of Chief Ministers on Swachh Bharat headed by N Chandrababu Naidu, Chief Minister of AP, has a vision to integrate the services of waste-pickers in sorting out the garbage of the cities. That is certainly an inclusive vision to some extent. Do planners have a similar vision in case of Amaravati? A world-class city should be able to construct, deconstruct and reconstruct every day while keeping its identity. A world-class city is always in movement, literally and figuratively. It is not only ahead of trends: it sets them, an urban expert wrote sometime back. Is Amaravati going to be that? Or will it simply degenerate into a rich and power and filthy city after 20 years? This October 22, amid much fan fare and enthusiasm, the dream of Andhra Pradesh is unfolded about its capital. The government has succeeded in capturing the imagination of the people. The stated purpose is to build a world class city. The contours of the dream spread out before the public present a beautiful amalgam of aesthetic design and ecological concern. Investments would flow in and towering structures rise fast. A decade or two later, when the skyline is complete and the dust settles down, will Amaravati be a city of compassion, love and excellence, apart from churning the economy of the fledgeling State of Andhra Pradesh? Is Chandrababu Naidu dreaming right? Amaravati will tell us in future.